Welcome to My Five Favorites today! 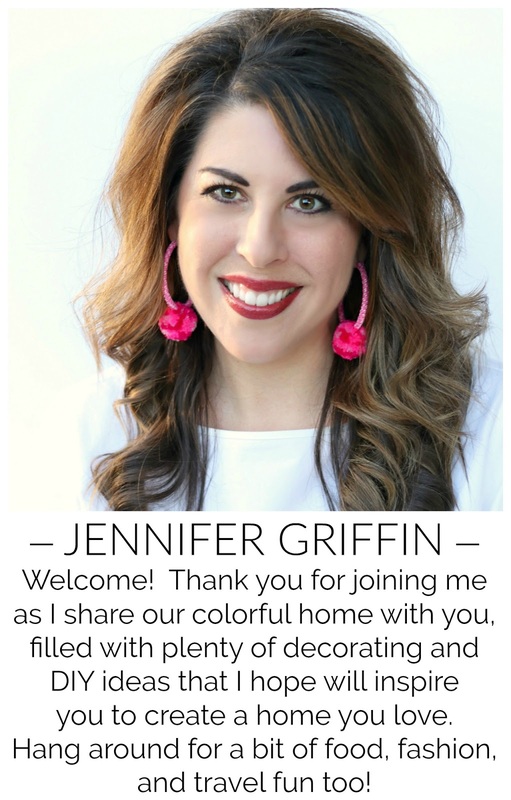 Pam from Simple Details, Lisa from Shine Your Light, Kris from Driven by Decor and I are all so excited to share our favorite paint projects with you today. We're so happy to have Kristin from Bliss at Home joining us as our guest host today. 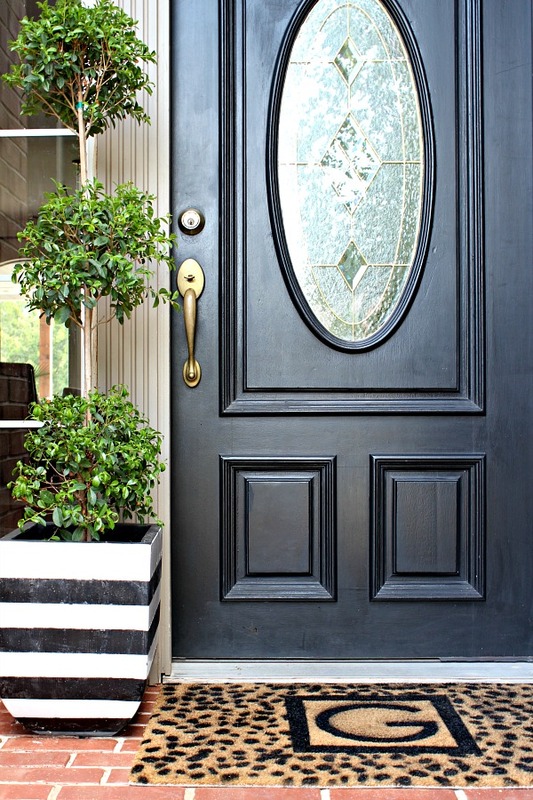 Let me tell you, Kristin has some serious style and I've enjoyed following along as she settles in to her new home, and checking in on her current One Room Challenge living room and entry way project. *Some affiliate links are used in this post for your shopping convenience. My #1 choice was a no brainer today. 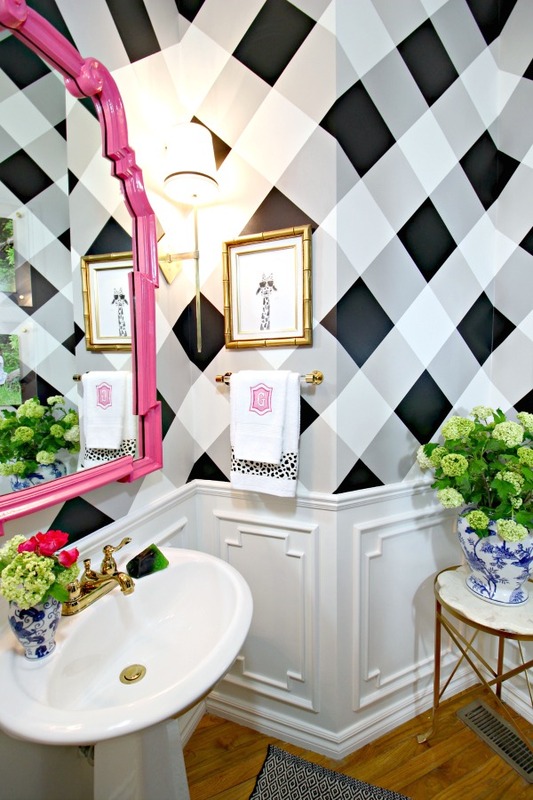 I'm still totally in love with the painted gingham walls in the powder bath. In fact, exactly one year ago I was sweating out finishing that whole project... see all of the Powder Bath room details and sources here. This has been one of my most popular projects, and one of my favorites as well! Something about those stripes just catches your eye and makes a statement. I did this project 3 years ago and I'm just noticing a few spots that I need to touch up on the paint, so I think that's pretty good since they've been outside all this time. When this stencil didn't pan out for my powder bath walls like I had originally intended, I had to find another use for it. It made the cutest personalized doormat! These are really fun to make as gifts, too, for a new neighbor, teacher gift, or you could even whip one out for Mother's Day! A "signature" piece for me that I did over 4 years ago, and I still love it just as much now as I did when I first painted it. Technically, this isn't a paint project, but it's in the same family so I'm calling it close enough. 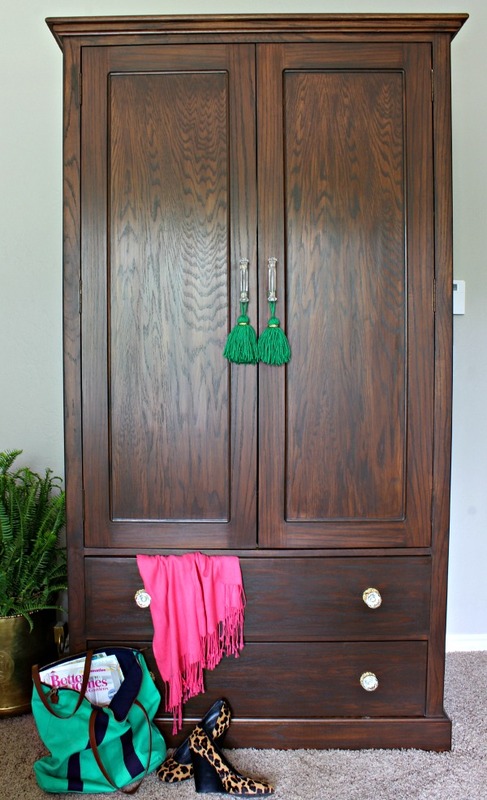 My Dad made this armoire from scratch, and we've had it for over 20 years. For years in two former houses it lived in our living room and held our tv, but since we've lived in this house it's been in our bedroom and is now used for storage (ever wonder where I keep all those pillow covers and fabric?). The craftsmanship is perfect and we could never bear to get rid of the piece, but I was over the orange-y tone. While I didn't want to paint it, I did want to alter the color and gel stain was the perfect remedy. It was a fairly easy process (not a complete refinishing job) and I didn't even move it out of the room to do the work. I'm so happy with the darker tone to the wood. 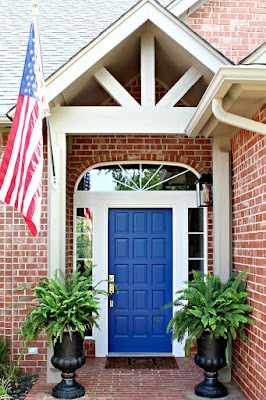 I couldn't stop at 5, because I think these fun little makeovers are worth an honorable mention! 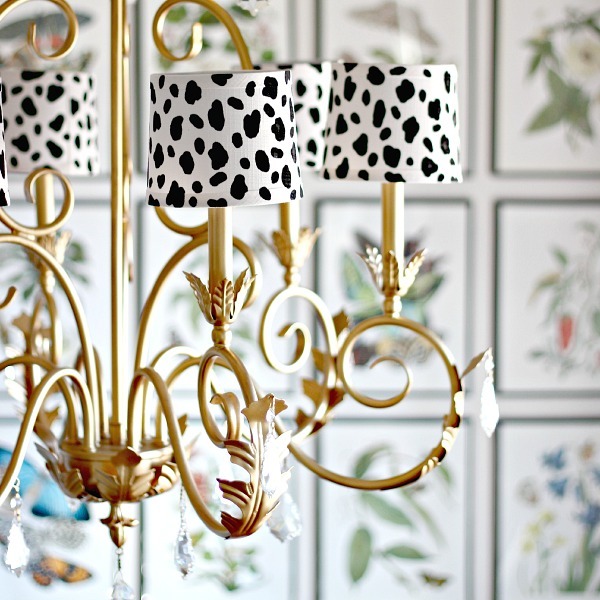 I originally made them for my chandelier but they're currently in the hall on some faux sconces that I put together. 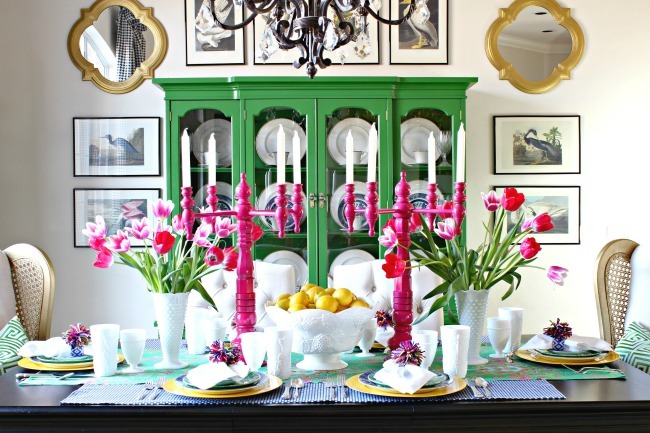 How about you... what's your favorite paint project? Be sure to stop by and see what these lovely ladies are sharing as well! Missed any previous My 5 Favorites posts? Catch up here! those gingham walls are my all time fave of yours! so good! Jennifer I agree with Cassie - your bathroom walls are the most epic paint project ever!!! All those angles to work around? 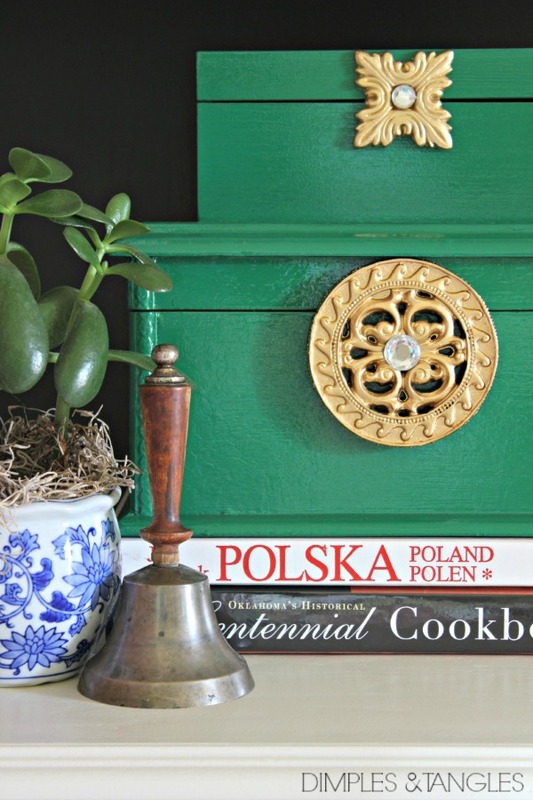 You've had so many great paint-related projects and I knew some kelly green would make an appearance on this list, your signature color! You have way too much fun with paint!! 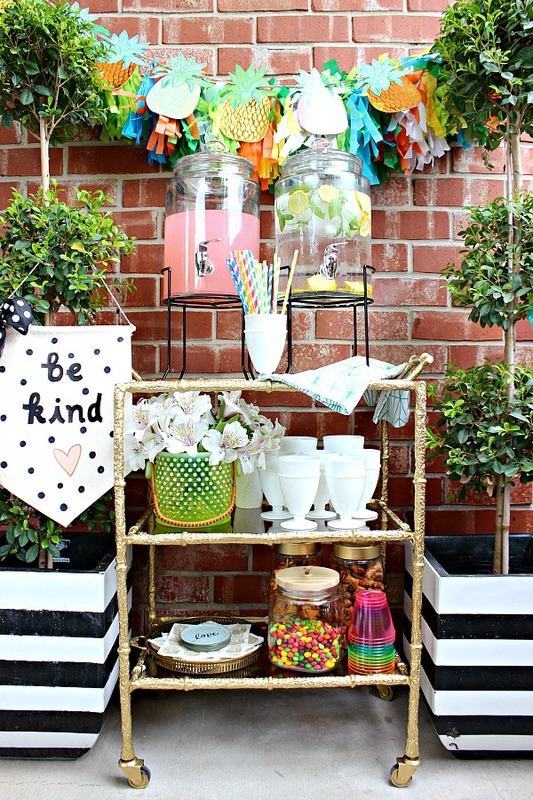 Love your striped pots so much, I need to steal that awesome idea to spiff up my deck this year! The powder room walls are amazing. 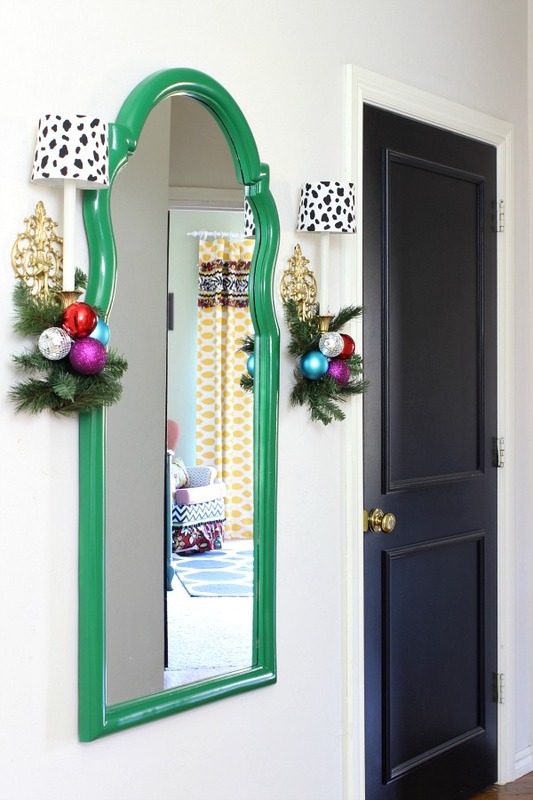 I love leopard print so am in LOVE with the doormat and the sconce shades!